Cordy Ryman’s second solo exhibition with DCKT Contemporary goes on view tonight and runs through the end of October. The opening is scheduled for Sunday September 12th at 5pm. We’re not in NY yet but you can be sure that this is one show we’ll see when we get there. 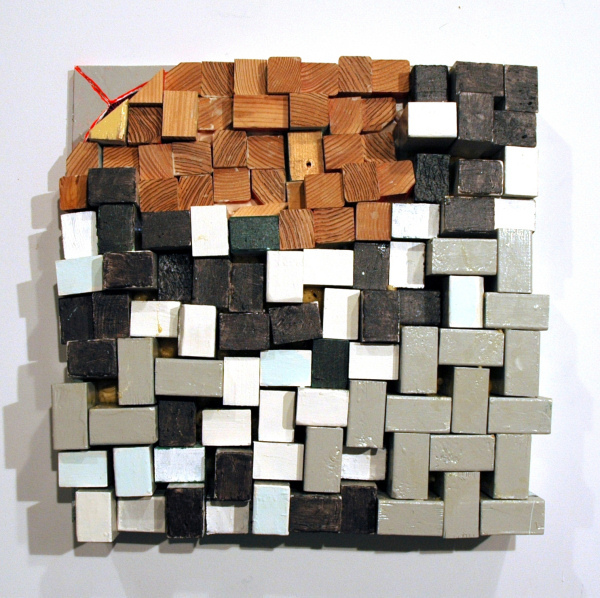 Cordy Ryman, 536 Days, acrylic, enamel, graphite, Velcro and Gorilla Glue on wood, 2010. Most painters begin by stretching canvas and priming endlessly with gesso. Cordy Ryman creates his ground from wood and other materials granting the surface power equal to color and composition. The resulting work is a well balanced hybrid of painting and sculpture. 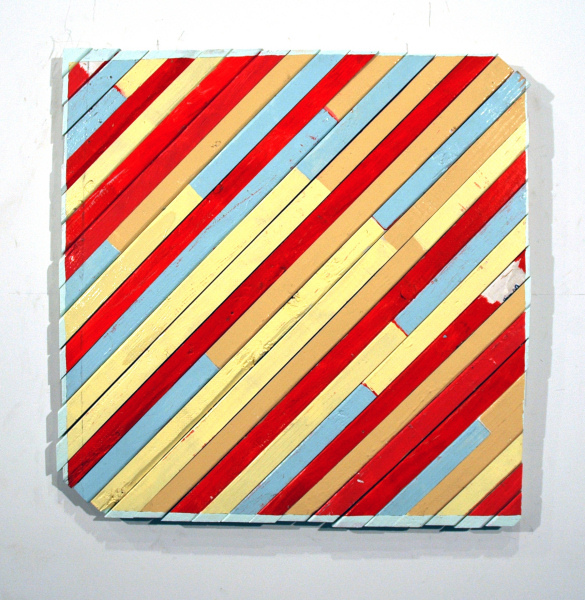 Cordy Ryman, Wave Bias, acrylic, enamel, graphite and ink on wood, 2010. Recycling is a major theme in these pieces. Many of the new works like “Wave Bias” (above) were created from parts of a large scale installation exhibited in his first solo show at the gallery. The use of powerful bonding agents and resins connect disparate materials in unusual ways. 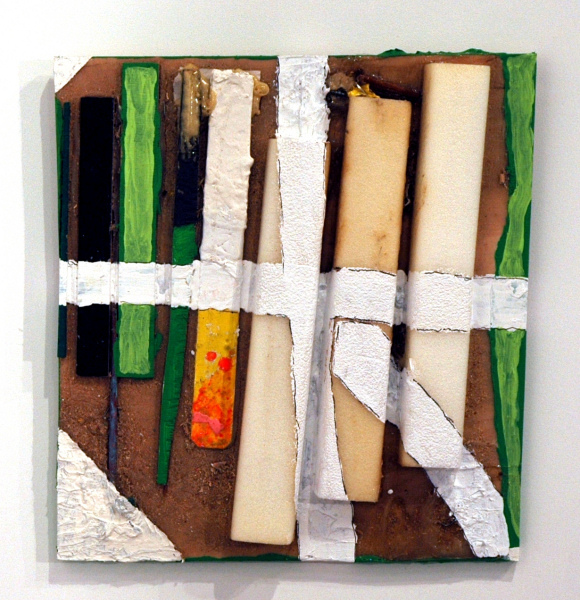 Cordy Ryman, Strapped Strips, acrylic, enamel, graphite, metal, Styrofoam and studio sweepings on wood, 2010. Ryman has also chosen to create a site specific piece constructed from scrap material collected over the past year. “Scrap Wall” wraps around an existing wall and ushers the viewer into the exhibition. Can’t wait.